Fatal crash on roundabout near Flamingo Road and Town Center Drive. This is a roundup of all the breaking news from around the Las Vegas valley for August 3, 2018. The Las Vegas Metropolitan Police Department Missing Persons Detail is asking for the public’s assistance in locating 33-year-old Giovanna Perera. Giovanna was last seen in the area of Valley View and Southern Highlands Parkway. Giovanna was last seen wearing a black t-shirt and pajama shorts. All hospitals are asked to check their registries for the missing adult and notify the police immediately. Las Vegas police released more details about the crash near Flamingo Road and Town Center Drive. According to police, a yellow 1997 Porsche Targa was driving north on West Flamingo Rd, approaching the roundabout at Granite Ridge, at an excessive speed around 3:50 a.m. The Porsche failed to negotiate the curve in the roadway and struck the roundabout curbing, which caused the Porsche to overturn. The Porsche overturned twice before coming to rest on the north side of the roundabout. The unrestrained rear passenger, a 64-year-old woman, was partially ejected and pronounced deceased on the scene. The unrestrained driver, identified as 22-year-old Luke Rosseveare, displayed signs of impairment and was booked into the Clark County Detention Center. The front passenger was restrained and was not transported to the hospital. Nevada Highway Patrol is reporting a serious crash on Route 160 near Potosi Mountain. The crash is affecting all lanes at this time. A fire has been reported near U.S. 95 and Rainbow Boulevard. It may be a building that is on fire. A fatal crash has been reported near Flamingo Road and Town Center. 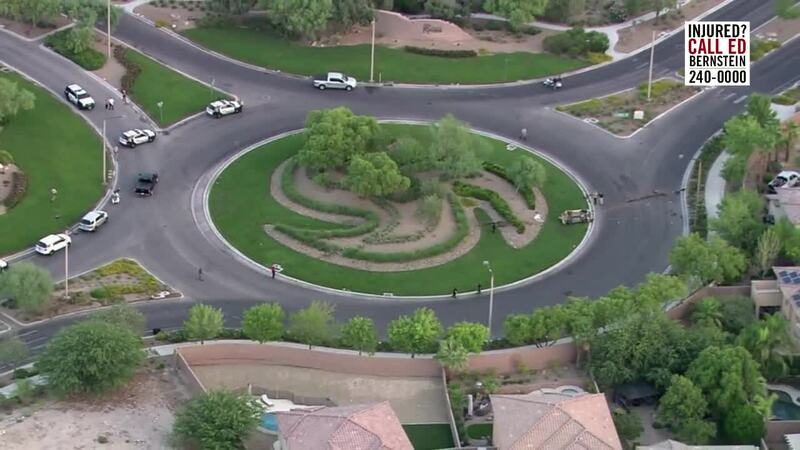 Flamingo is currently closed from Town Center to Red Rock Ranch. Nevada Highway Patrol is investigating a fatal crash on westbound Summerlin Parkway near Anasazi Drive. The crash happened around midnight.